Welcome to my final day of the 12 Days of Christmas Series and a very Merry Christmas to you all on Christmas Day. My plan was never to finish on Christmas day but that is what happens when I get too busy to craft. Next year I really need to have all my projects ready to go before I even start my series. This project I saw on another demonstrators page and so wanted to make it for my final project. 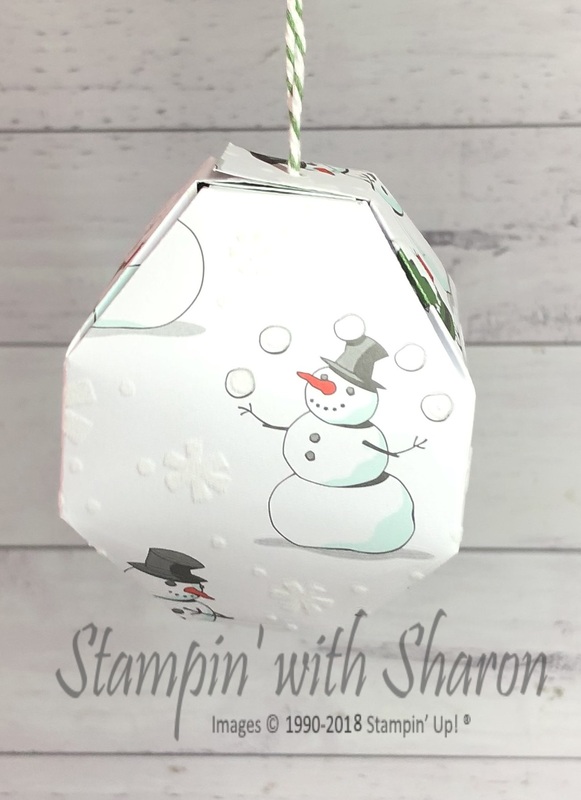 I love making Christmas decorations and home decor items and this bauble is no exception. 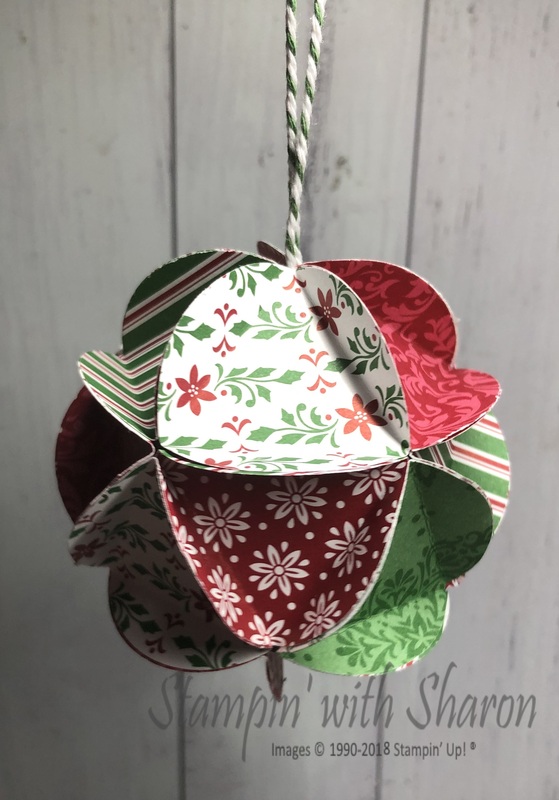 You can watch the talented Vanessa Webb as she shares how to make this bauble. I love how easy these are to put together. If you’d like to purchase any of these products that I’ve used to make these baubles just click the links below. Welcome back to my 12 Days of Christmas Series and Day 11. Sorry for the break in posts. Last weekend there was a massive storm that swept through our area and took out power in 50,000 homes. I was helping out some family members that lost power for 75 hours. They came over and washing clothes, had showers, had hot cups of tea etc. Added to that I have been sick and so I haven’t had a lot of time to craft this past week. 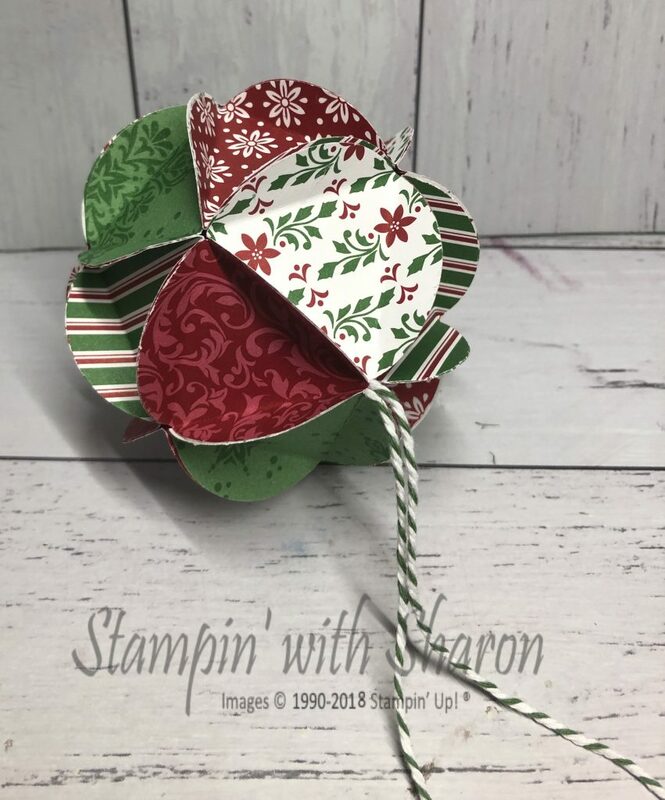 My day 11 project is this gift box to hold a Christmas ornament for a dear friend. 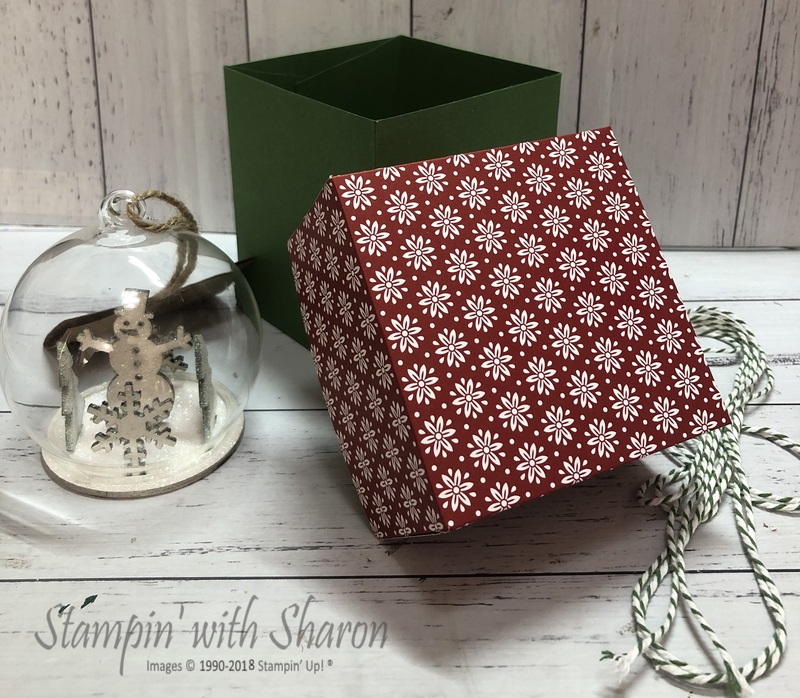 I created the box by just measuring the ornament and creating the box to fit the ornament. 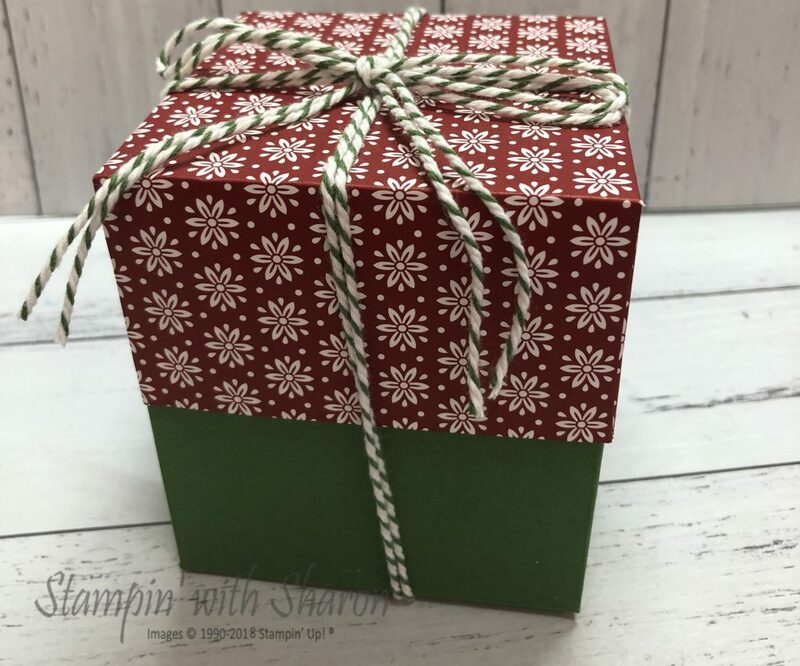 I used the gorgeous Garden Green & whisper white bakers twine to tie the box. Here’s the inside of the box. I love how the box lid doesn’t cover the entire bottom of the box. And here is the little ornament that is going into the box. Welcome back to my 12 Days of Christmas Series. Day 10!! 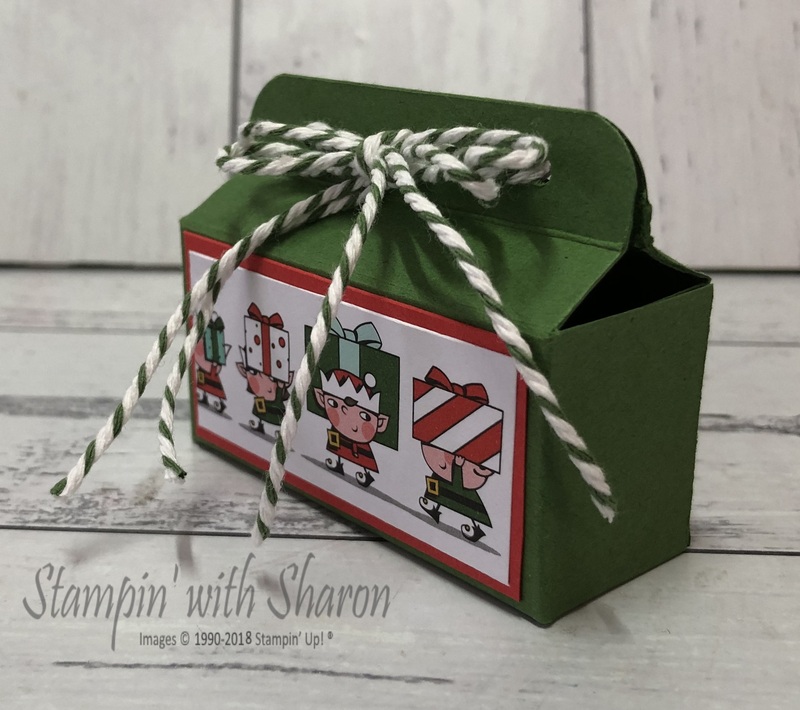 This project was inspired by Intertwyne Designs and her Milk Carton-ish Box. 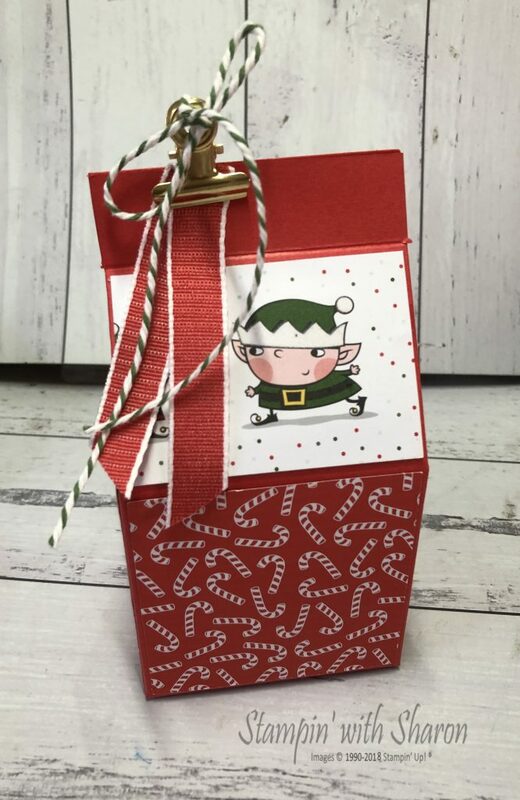 Her box was flatter on the top, however I kept it as a milk carton. I added some chocolates inside as a treat. I again used the Santa’s Workshop DSP. I just can’t get enough of this paper. 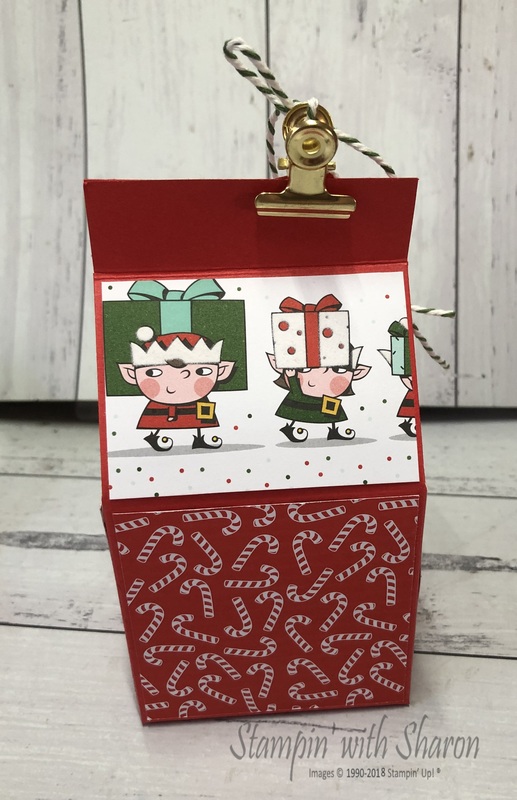 Welcome to day 9 of my 12 days of Christmas Series. 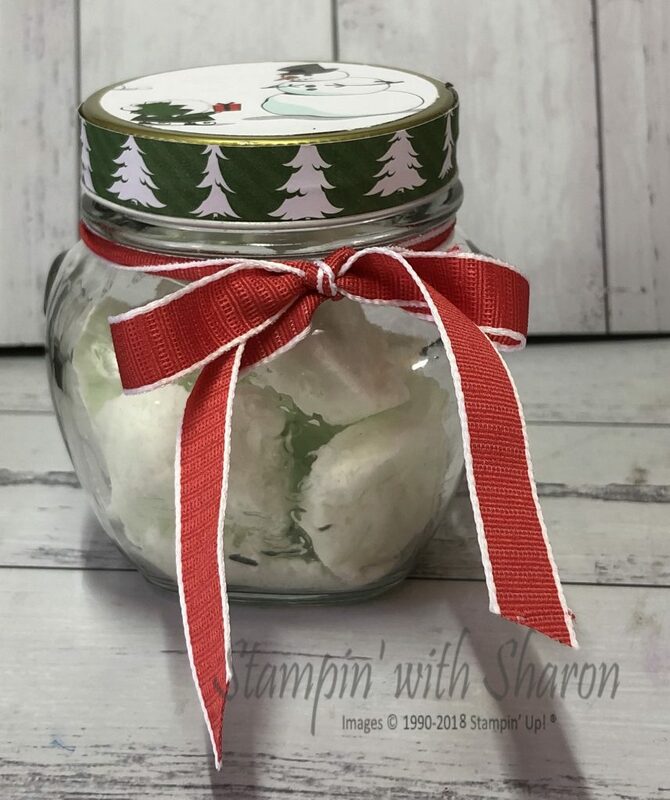 This gift is a second take on my day 3 project with the bath bombs. 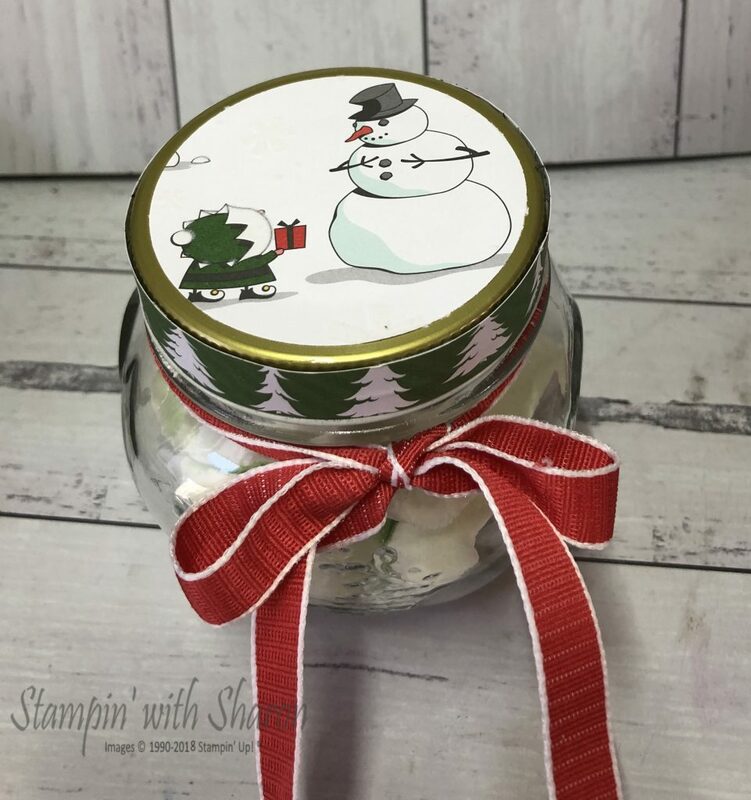 I purchased these jars from Kmart, 6 for $5 and then decorated with the Santa’s workshop specialty designer series paper. I plan on giving these to some of my nieces that are a little hard to buy for. I tied a ribbon around the top to add something extra. If you like any of these projects then click on the links below to be taken to my online shop. Welcome back again to my 12 Days of Christmas Series. Today’s project was again from the Secret Santa gift last week. 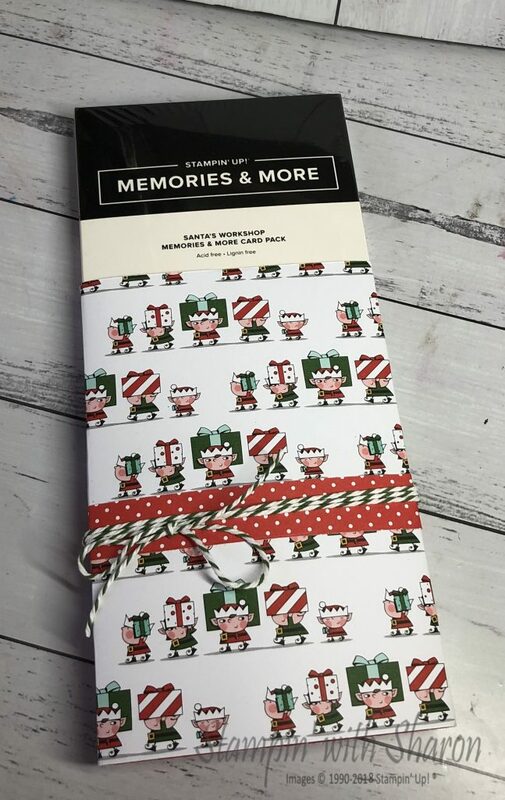 I wanted to give my recipient the memories and more cards and so just did a really simple wrap using the DSP card stock. 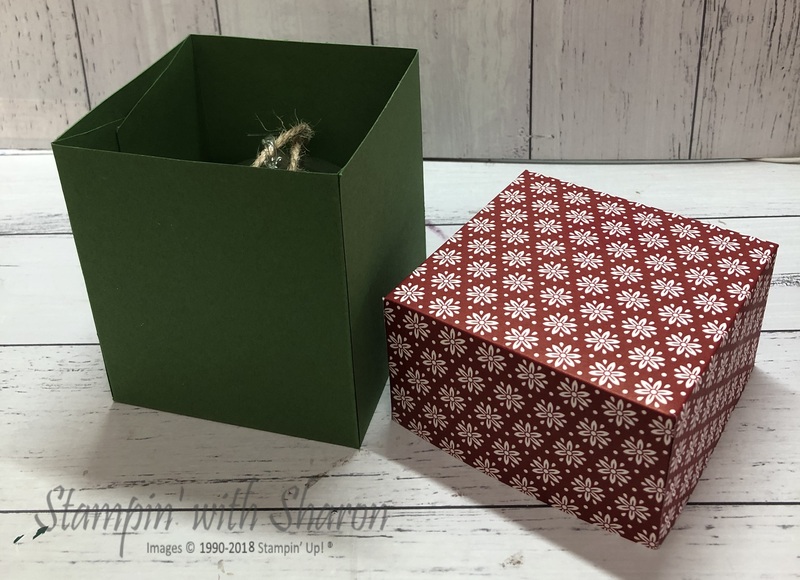 This is such a simple way for you to wrap up a gift for that someone special. 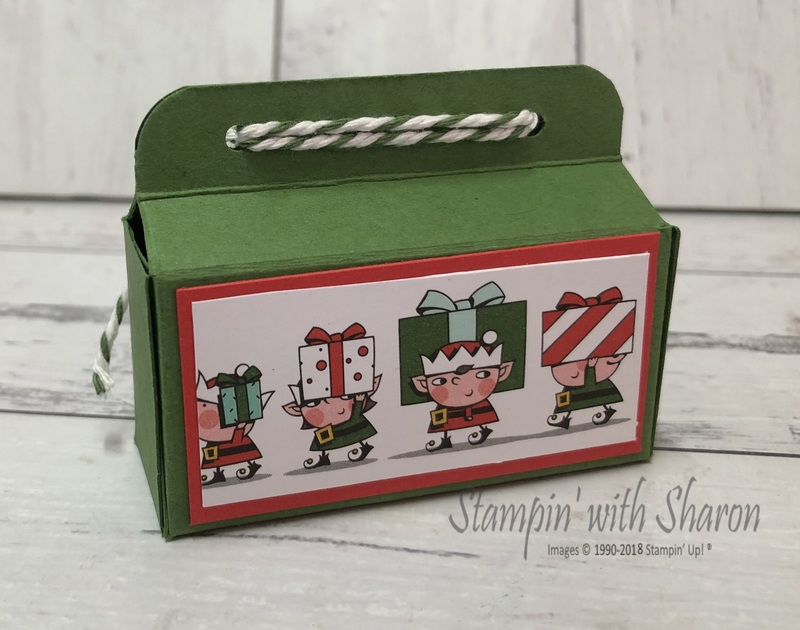 If you would like to purchase any of these products then click on one of the links below to be taken directly to my online shop.